California ponysfoot is a low, mat-like plant that is a common sight on lawns and meadows–but you might not have noticed it. 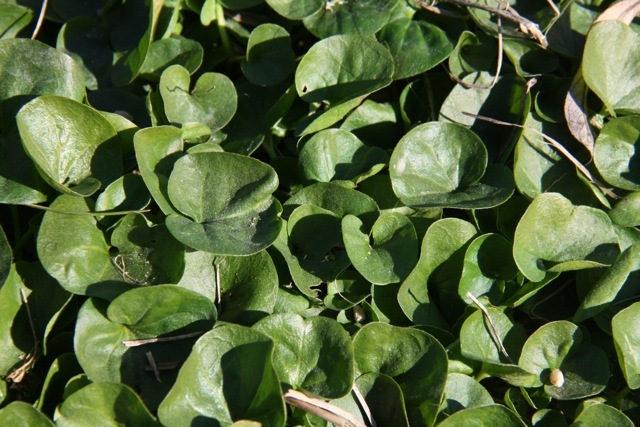 The round, slightly fuzzy leaves of this ponysfoot (Dichondra donelliana) are about the size of a quarter, and are easily overlooked as they blend in with clover and grass. In fact, its lookalike cousin Dichondra carolinensis is sometimes planted as a lawnlike groundcover in southern states. The creeping stems root easily at the leaf nodes and help them spread. If you find yourself in a patch of ponysfoot, part the leaves and look close to the ground. 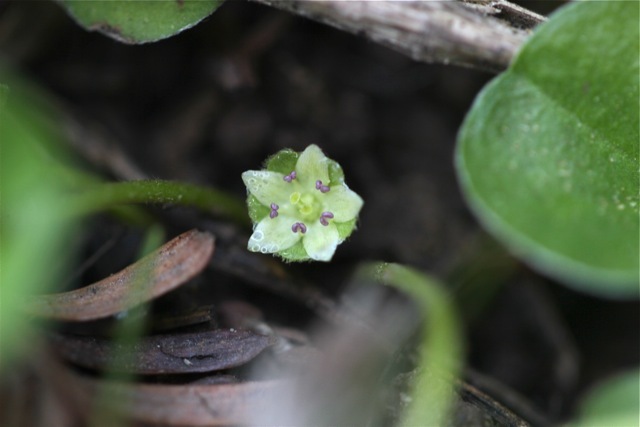 You may be rewarded with the sight of the diminutive, pale-petalled flowers with pretty purple anthers. I took these pictures a few weeks ago, but we’re nearing the end of the season: they mainly bloom in winter months, January through March. 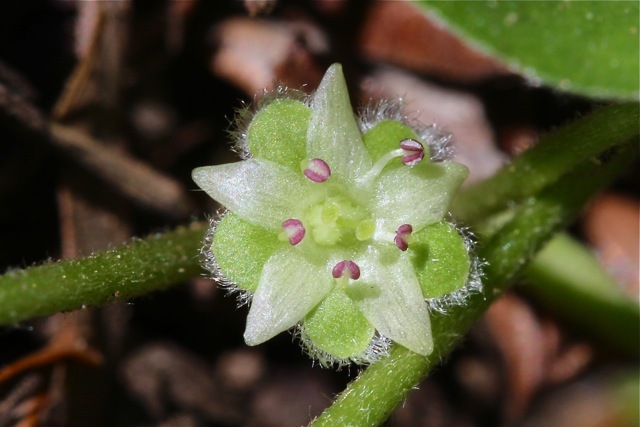 California ponysfoot is endemic to the state of California. 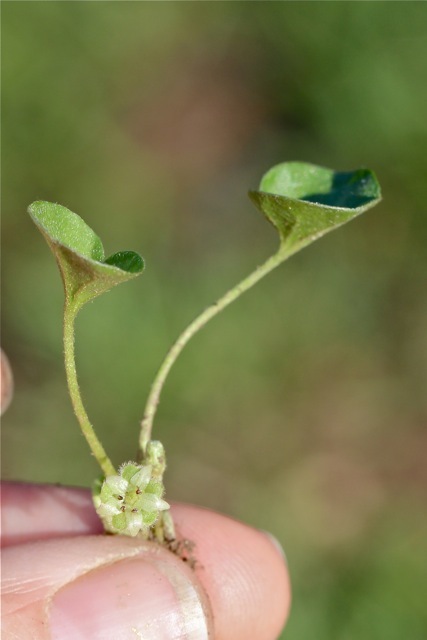 There are two other species of Dichondra listed in the state; however California ponysfoot is the only one that is common in the northern and central parts of the state. (This is an updated version of a post I first wrote in January 2013, since I finally got some good photos of the ponysfoot flowers). Hey, I found you while looking for information on Dichondra donelliana. I volunteer with the Friends of Sausal Creek, have helped collect seeds, and have working in our native plant nursery for 15 years. We recently found ponysfoot in the park — a place I’ve walked past many times, you’re definitely right, it’s inconspicuous! It’s growing in a highly disturbed spot, between a sidewalk and a driveway and under some trees that are not native to the park.